“What do you get when you cross a dentist and a boat?” – A Tooth Ferry! Kids are hilarious. They throw us for surprises every day and keep us humble along the way. Spring in Atlanta is one of the best times to get out and try the wonderful outdoor adventures that our area has to offer. Kids love hiking Kennesaw Mountain and feeling a sense of accomplishment as “King of the Mountain” when they get to the top. Get out and have fun with your little ones this spring. While you’re making your list of activities to do with the kids, don’t forget to include scheduling a pediatric dental appointment at Mansouri Family Dental. We’ve created a peaceful, yet fun environment for your child to come and get the dental care he needs. Discuss proper oral hygiene at home. Establish a positive relationship with your child to ensure a great experience for years to come. Answer any dental questions you may have. Educate you and your child on proper brushing and flossing techniques. Ensure that proper hydration and diet is happening at home to promote healthy teeth. 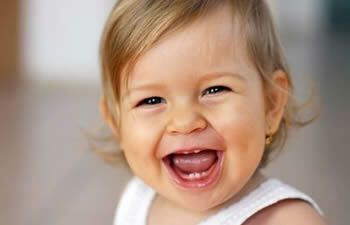 Examine your child’s teeth and gums. Provide a gentle and thorough cleaning. Discuss ways to help prevent dental injuries if your child is involved in activities that could compromise her teeth. Remove any damaging plaque or tartar. You can read more about how often you should visit the dentist here according to the American Dental Association. Schedule your little one’s pediatric dental appointment at Mansouri Family Dental Care & Associates today.